For us working at ScienceAtHome, the Alice Framework has two sides. 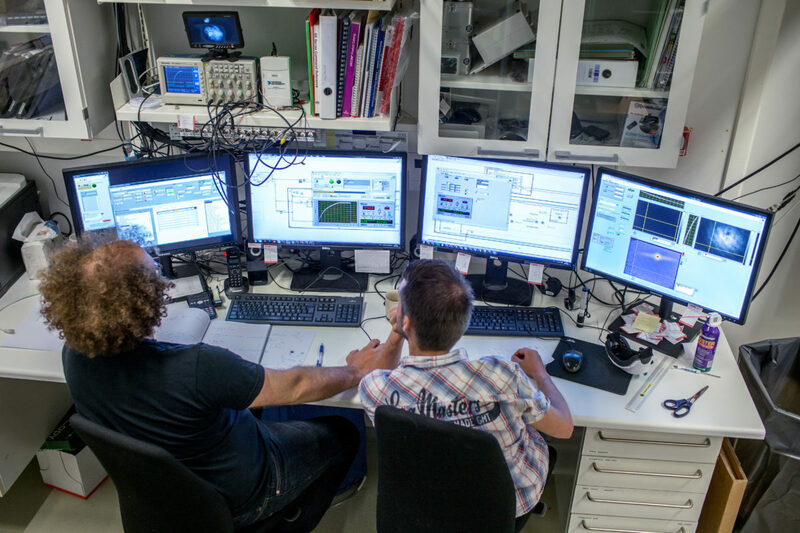 First, it is the experimental control system which we use in the lab every day to control and handle complex sequences of commands to technical equipment and devices. This control system enables us to trap and cool a cloud of atoms and conduct experiments with them, giving new insight into the atomic world. The second side is that of Alice being the interface for our experiment to the outside world. This function enables people from all over the globe to take control of a cutting edge physics experiment.